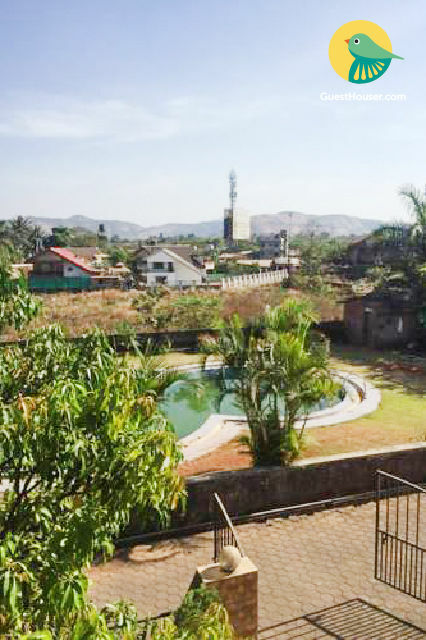 Located just 3.8 km away from Lonavala Lake, this is an offering of a four-bedroom villa. The villa can accommodate eight people, and is ideal for a large group getaway. Your Space This villa is furnished to provide modern comfort. The bedrooms are air-conditioned and boast comfy double beds to ensure you get a restful sleep. The master bedroom houses wall-mounted storage cabinets and a standalone storage unit for your convenience. The room opens out to a spacious balcony so you can step out and enjoy a cold beverage with your fellow travellers. The en suite washrooms are tiled and well-appointed with western sanitary ware.